Nearly two-thirds of Asian Americans are foreign-born, including sizeable proportions of both documented and undocumented immigrants. Given the precariousness of immigration status — particularly under the Trump administration, which has detained record numbers of documented and undocumented immigrants in preparation for removal proceedings — it should come as no surprise that immigrants will be wary of any process that would ask them to disclose their citizenship and documentation status to the federal government. Under an administration that seems determined to drive immigrants out of the country, a Census that seeks to record and document the status of all US immigrants alongside their names and addresses can only appear to have nefarious motives. And, whether the information is ultimately used benignly or not, the presence of the citizenship question is almost certain to depress responses from Asian Americans and other predominantly-immigrant populations — many of whom fear reprisals from one of the most breathtakingly xenophobic administrations in recent memory. This fear will not be limited to undocumented immigrants; documented immigrants will also be reluctant to participate in a process that will facilitate their persecution by an administration already hostile to their very existence. We cannot abide this proposed citizenship question, which seems designed more to harangue immigrants than to generate necessary demographic data. Any measure that would lead to undercounting of Asian Americans or other communities is highly problematic. US Census data are used to administer several social services programs, and they also form the basis for the drawing of congressional district boundaries. Census miscounting or undercounting of Asian Americans will result in reduced distribution of federal and state-level resources to Asian American communities. It will also significantly impact the size of congressional districts that encompass predominantly Asian American residents, which ultimately weakens our voice in government. Supporters of the citizenship question argue that the US Census has asked about immigration status in earlier iterations of the Census. That is true, but the citizenship question was last distributed in the full Census in 1950, before the country was home to the sizable non-white immigrant communities that characterize modern America. 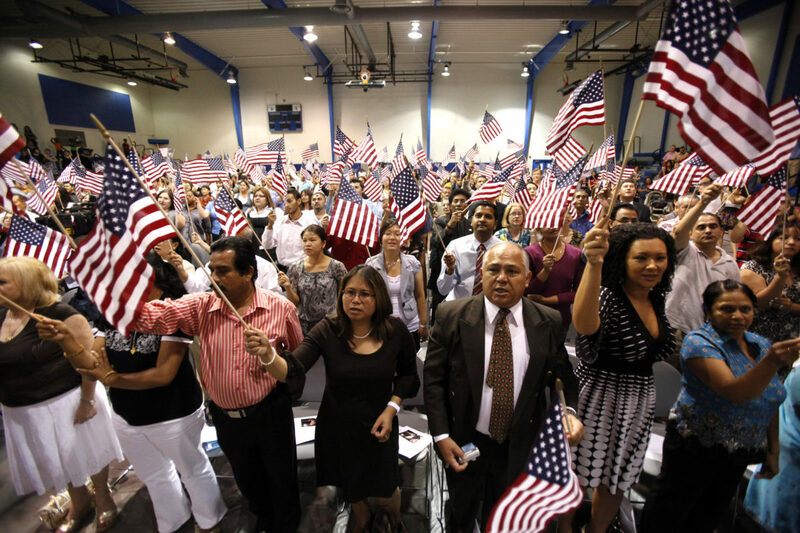 Moreover, the data that the citizenship question seeks to obtain are already readily available as an estimate obtained from the American Community Survey, which administers a more detailed battery of questions to a sampling of Americans; USCIS also keeps a detailed record of documented immigrants and our residency patterns. The citizenship question does not add value to US Census data; it is only an effort to forcibly legitimize Donald Trump’s wildly racist conspiracy theories about undocumented immigrants. Asian Americans are already largely overlooked in American politics, and many agencies already ignore the need to accurately count and study Asian Americans. Efforts that would depress our communities’ response rate on the US Census would only further render us invisible and drive us deeper into the margins; and experts almost widely agree that this question will discourage immigrants from responding to their US Census form. Asian Americans must join the fight to stop this latest effort by the Trump administration to target and scapegoat immigrants as imaginary threats against American safety and security. Immigrants — like all residents of America — deserve to be represented accurately by an agency that should be non-partisan and exclusively data-driven. The Trump administration must not be allowed to weaponize the US Census to advance their own xenophobic — and racist — agenda. It’s time to fight to #SaveTheCensus. We need a #CensusNotCensure. Immigrants need to be fairly counted, not condemned.